Having been cast into a spell to live as spirits in the river Kai, the twelve children continue their quest to find a way to break the spell in accordance with the rules as set out in the witch’s manual. But just as they become familiar with the rules and the consequences of disobeying them, the witch introduces a few subtle changes, which leaves the spirits anxious about what is to come.Although the wood spirits and the river spirits worked together to stop the life-threatening development on the riverbank in Book I (The Glass Table), the alliance is once again in tatters after Ming Zhi Chen escapes. As a consequence, seven-year-old Jasper cannot be found, just as Faith Prattle disappeared after Toby Witherspoon’s escape. With just four river spirits left at the glass table, and with the brains of their outfit gone (Ming), the river spirits start to wonder if they will ever return home as children. Thoughts again turn toward a mass escape, albeit, more wood spirits would die. 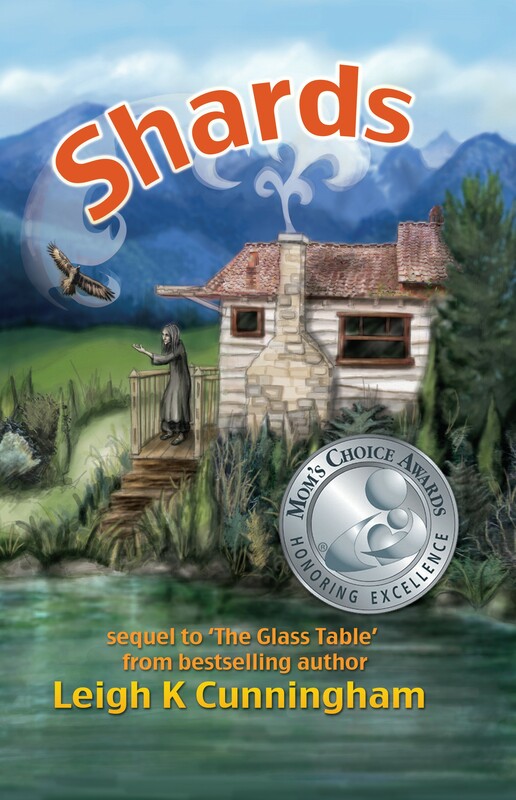 Shards (and its prequel, The Glass Table) are available at all major online retailers including Barnes & Noble, Amazon, The Book Depository, Smashwords, Bookworld, Booktopia.